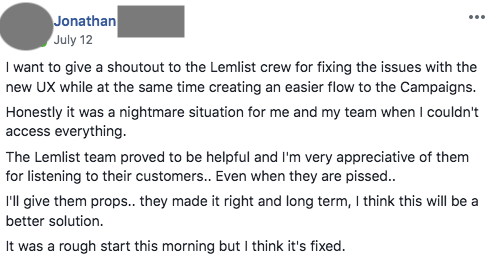 I always blog about the things that we do well at lemlist... but, in my opinion, I learn a hundred times more when I fail. I hate to feel stupid... So if while you're reading this article you think we should have done things differently... Well you'd be right! Last June, we realized that our activation rate was too low. 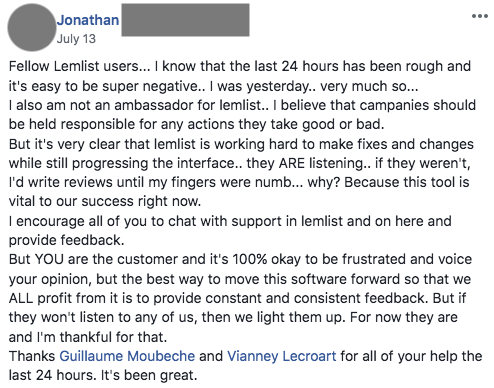 For those who don't know lemlist we're an (THE BEST 🙄) email automation platform. We consider a user "activated" once he's launched a campaign. So far so good though... After testing the new version of the product we were 100% sure that it was going to be a huge success! 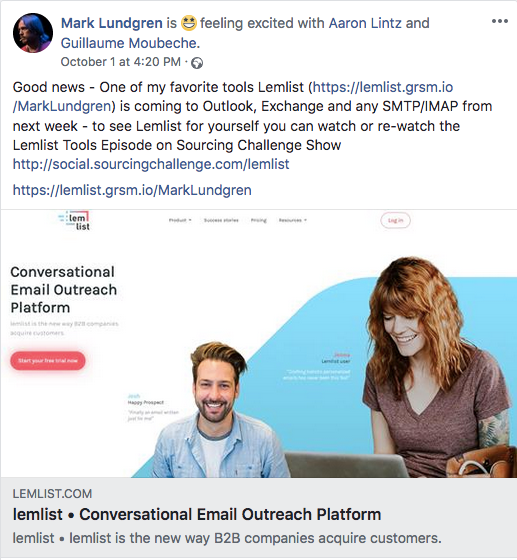 We grew from 0 to 4000+ users thanks to a huge product launch on Appsumo... After this launch, we decided to leverage our huge user base to create a Facebook community called The Email Outreach Family. The goal? Help each other out at becoming better at email outreach. So, let's now talk about the moment you've all been waiting for, THE screw up! The day we decided to release the new UX, we saw it a bit like a Christmas present for all our users... We were so sure that everyone would see it at THE best gift of the year! But the great thing when you have 2 co-founders who are much more experienced than yourself, and who are half geniuses half robots is... You know they're gonna make something amazing happen! We also learned that no matter what your users say, being transparent and showing that you care is key. To be honest, at some point it was really difficult to answer all those hate messages about our "baby" (lemlist) because we kindda take it personnaly... But it was also key to show how important this project is to us and that we really want to make the best email outreach platform ever! Nothing is irreversible and as long as you're listening genuinely to your users, finding solutions is much easier! Another lesson is to always believe in yourself and in your decisions...When you're building a company, you should be the one knowing in which directions you want the company to go... You will not be able to please everyone but that's also what will make you unique and eventually successful! In our case, we increased our free trial to paid conversion rate by 3x thanks to those changes!